Have you ever done something embarrassingly silly and said “Oh man, I hope no one saw that!” Like tripping over your own feet, or backing into your own garage with your car? I think we all have, and were either relieved that no one did see, or terribly embarrassed if someone did. The point is whether you know it or not, people do watch you. 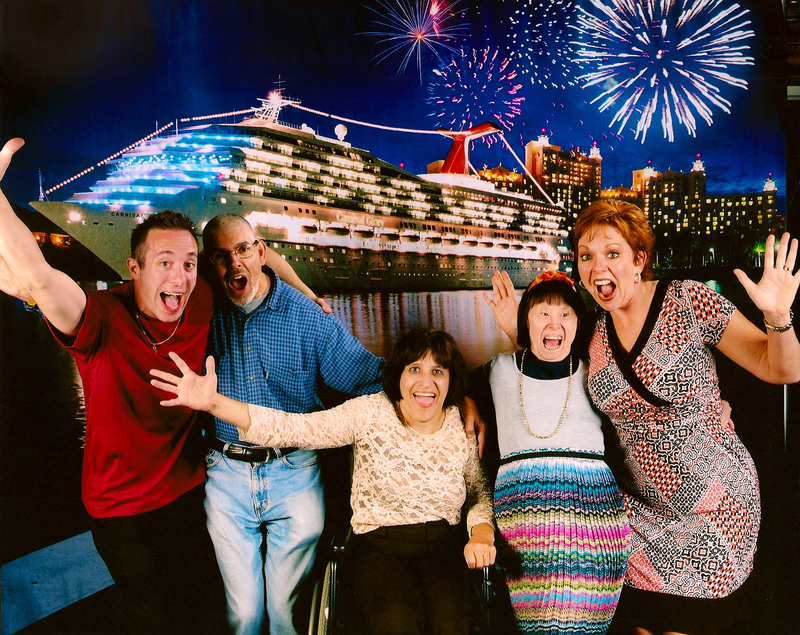 Back in 2012 Denise & I went on a cruise and the highlight was meeting a group of special need individuals. I wrote about that experience in this blog post. Here was the best picture from the trip. Recently Denise had a group of 30 special need individuals on her plane. Being a flight attendant she was there to keep them safe (priority # 1 of any flight attendant) but also to serve them. She gave them extra peanuts, made them laugh and loved on them. It just so happens that there was a stealth supervisor (unannounced) on the plane that day evaluating the flight attendants. Denise was told she had never seen anyone bring that much light onto a plane before. 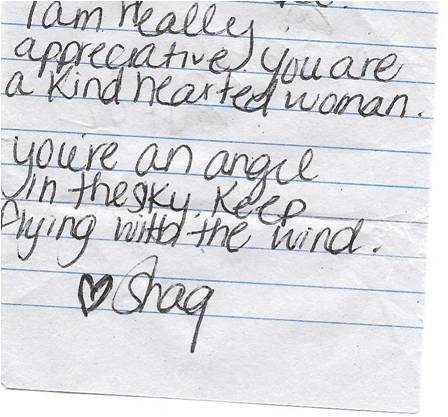 A regular passenger also gave this note to Denise as she walked off the plane. We never know who is watching, and how they will be affected by what they see. If we are guided by the Holy Spirit on a daily basis, hopefully God’s light and love will emit through us and onto others. What silly thing have you done that you hoped no one saw? Drop us a comment and let us know.